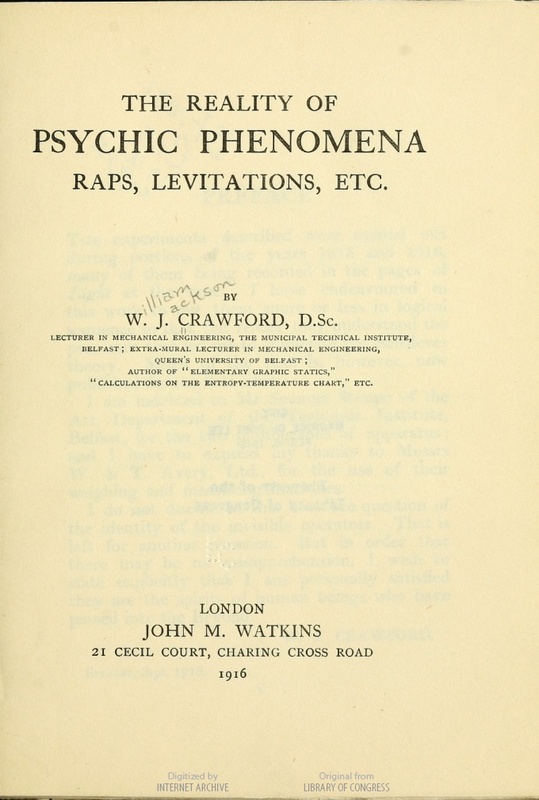 While parapsychology journals generally carry book reviews, few of them publish reviews of old books generally considered classics or important publications, many of which have been almost forgotten by the current generation, except perhaps by the historically minded. 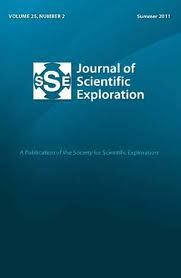 Fortunately the Journal of Scientific Exploration (JSE), edited by Steve Braude , sometimes publishes such reviews. Ahmed, D.S. (2011). 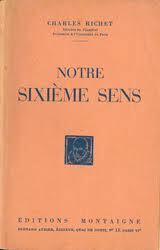 Review of Notre Sixième Sens, by C. Richet. JSE, 25, 583-590. Ahmed, D.S. (2011). 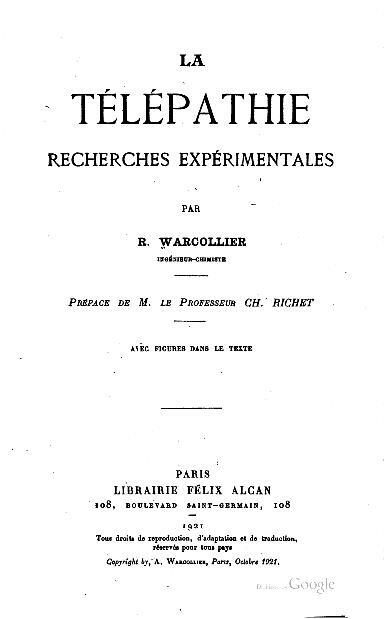 Review of La Télépathie: Recherches Expérimentales, by R. Warcollier. JSE, 25, 767-778. Alvarado, C.S. (2010). 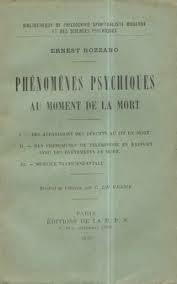 Review of Phénomènes Psychiques au Moment de la Mort, by E. Bozzano, and Deathbed Visions, by W.F. Barrett. JSE, 24, 358-364. Alvarado, C.S. (2010). 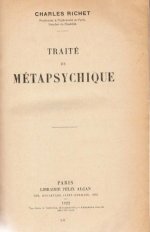 Review of Traité de Métapsychique, by C. Richet. JSE, 24, 535-541. Alvarado, C.S. (2010). 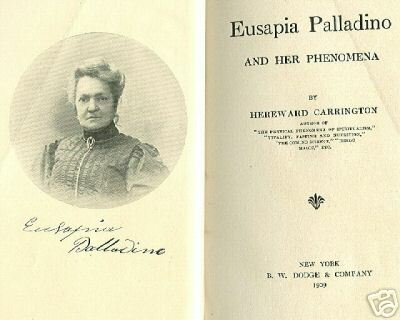 Review of Eusapia Palladino and Her Phenomena, by H. Carrington. JSE, 24, 126-133. Alvarado, C.S. (2011). Apparitions of the living: The views of William H. Harrison and Gabriel Delanne (Review of Spirits Before Our Eyes, by W.H. 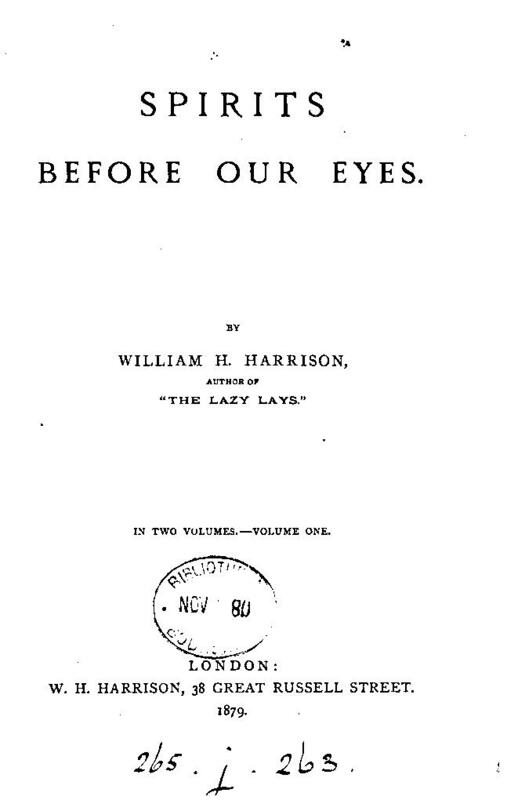 Harrison; and Les Apparitions Matérialisées des Vivants & des Morts. Vol. 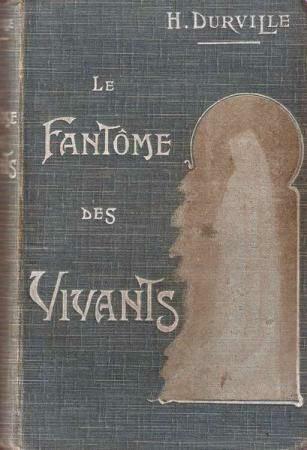 1: Les Fantômes de Vivants [Materialized Apparitions of the Living and of the Dead. Vol. 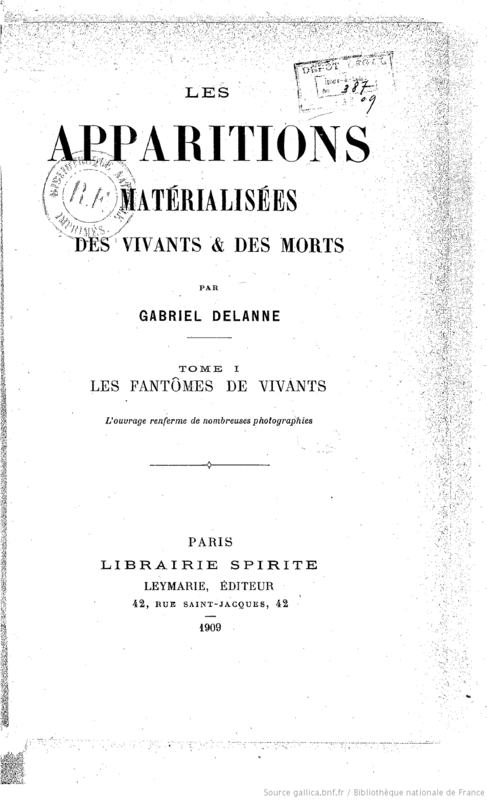 1: Phantoms of the Living], by G. Delanne. JSE, 25, 365-374. Alvarado, C.S. (2011). 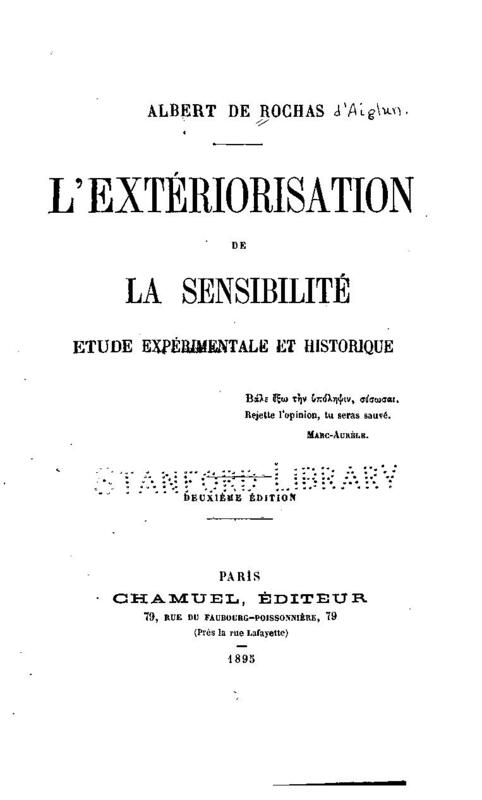 Unorthodox concepts of force and psychic phenomena (Review of Les Radiations Humaines [Human Radiations], by R. Montandon; Laboratory Investigations into Psychic Phenomena, by H. Carrington; Le Magnétisme Animal [Animal Magnetism], by A. Baréty; L’Extériorisation de la Sensibilité [The Exteriorisation of Sensibility], by A. de Rochas; L’Ame Humaine [The Human Soul], by H. Baraduc; L’Evolution Animique [Animic Evolution], by G. Delanne. JSE, 25, 121-130. Alvarado, C.S. (2012). Bottazzi and Palladino: The 1907 seances (Review of Mediumistic Phenomena: Observed in a Series of Sessions with Eusapia Palladino, by F. Bottazzi). JSE, 26, 159-167. Alvarado, C.S. (2011). On doubles and excursions from the physical body, 1876–1956 (Review of “On the Trans-Corporeal Action of Spirit,” by W.S. Moses, Human Nature, vol. 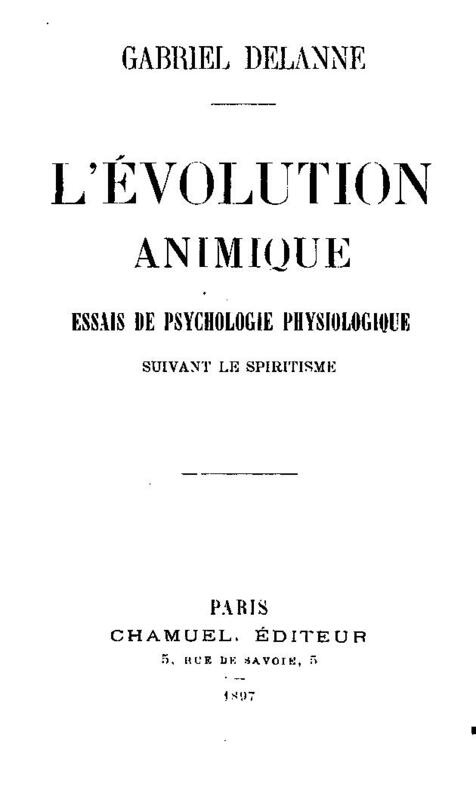 10; Posthumous Humanity, by A. D’Assier; Le Fantôme des Vivants [The Phantom of the Living], by H. Durville; The Case for Astral Projection, by S.J. 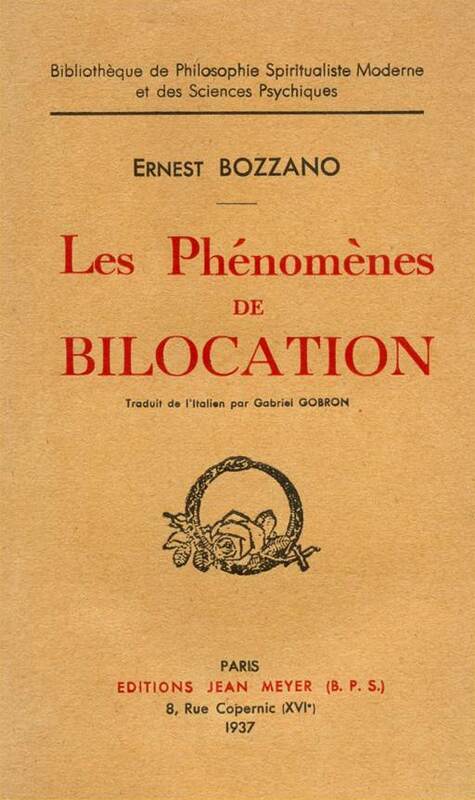 Muldoon; Les Phénomènes de Bilocation [The Phenomena of Bilocation], by E. Bozzano; The Phenomena of Astral Projection, by S.J. Muldoon and H. Carrington; “ESP Projection: Spontaneous Cases and the Experimental Method,” by H. Hart. Journal of the American Society for Psychical Research, vol. 48; “Six Theories about Apparitions,” by H. Hart and collaborators. 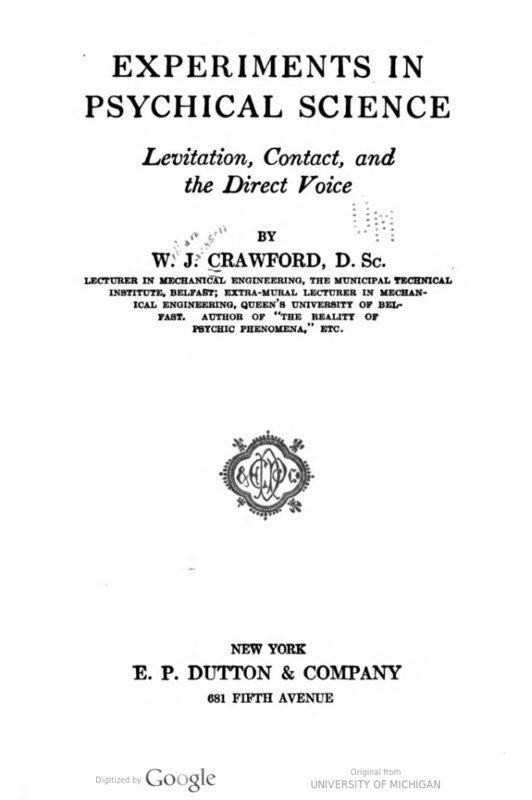 Proceedings of the Society for Psychical Research, vol. 50). JSE, 25, 563-580. Arnette, J.K. (2012). Review of Recollections of Death: A Medical Investigation, by M.B. Sabom. JSE, 26, 207-211. Bova, M. (2013). Review of The Medium, the Mystic, and the Physicist: Toward a General Theory of the Paranormal, by L. LeShan. JSE, 27, 128-129. Evrard, R. (2010). 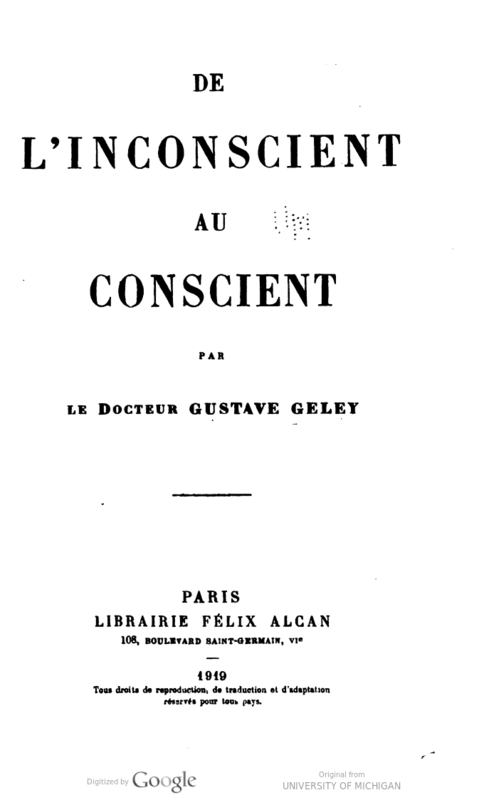 Review of De l’inconscient au conscient, by G. Geley. JSE, 24, 541-546. Gasperini, L. (2012). 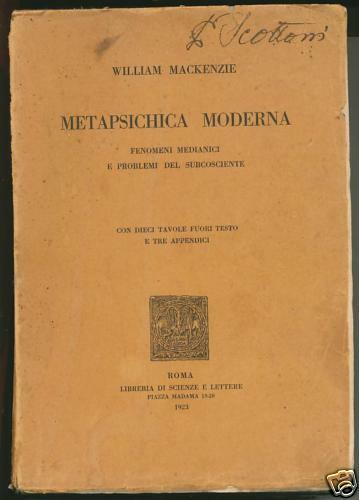 Review of Metapsichica Moderna: Fenomeni Medianici e Problemi del Subcosciente, by W. Mackenzie. JSE, 26, 911-922. Grosso, M. (2011). Extreme phenomena and human capacity (Review of Herbert Thurston’s The Physical Phenomena of Mysticism). JSE, 25, 131-152. Laursen, C. (2013). Review of The Poltergeist, by W.G. Roll. JSE, 27, 570-572. Kinsey, L., & Holden, J.M. (2012). 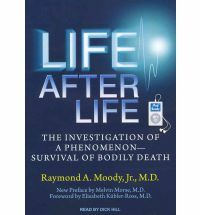 Life After Life: The Investigation of a Phenomenon—Survival of Bodily Death, by R.A. Moody, Jr. JSE, 26, 199-202. Matlock, J.G. (2011). Ian Stevenson’s Twenty Cases Suggestive of Reincarnation: An historical review and assessment. JSE, 25, 789-820. Playfair, G.L. (2011). 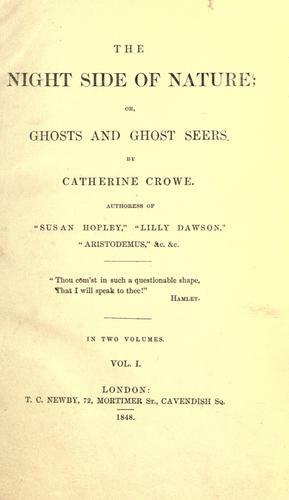 Review of The Night-Side of Nature: Or, Ghosts and Ghost-Seers, by C. Crowe. JSE, 25, 177-181. Price, L. (2011). Miracles and Modern Spiritualism: A re-review (review of A.R. 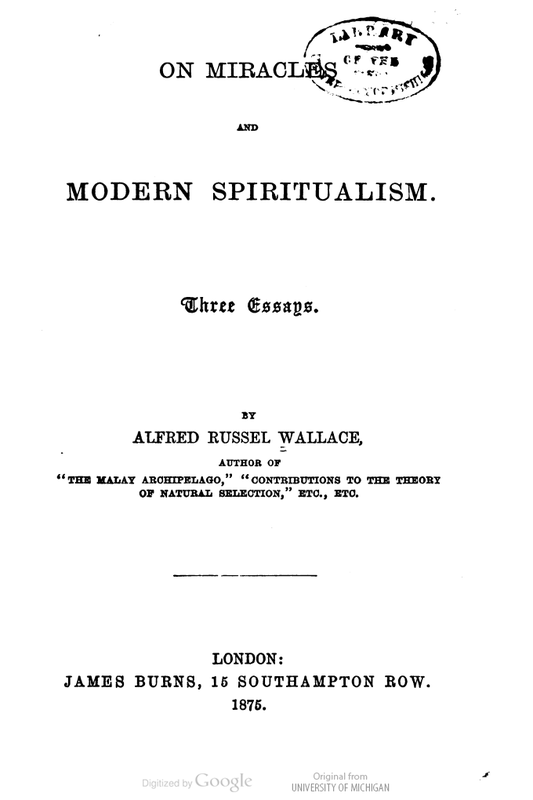 Wallace’s Miracles and Modern Spiritualism). JSE, 25, 781-787. Rabeyron, T. (2010). Review of La Connaissance Supranormale, by E. Osty. JSE, 24, 351-357. Tymn, M. (2011). 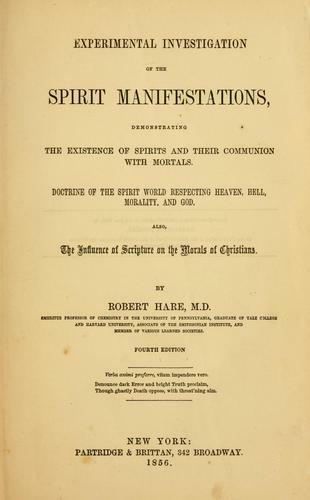 Review of Experimental Investigation of the Spirit Manifestations: Demonstrating the Existence of Spirits and Their Communion with Mortals, by R. Hare. JSE, 25, 172-177. Tymn, M.E. (2013). Review of Communication with the Spirit World of God: Its Laws and Purpose, Extraordinary Experiences of a Catholic Priest, by J. Greber. JSE, 27, 726–734. Tymn, M.E. (2013). 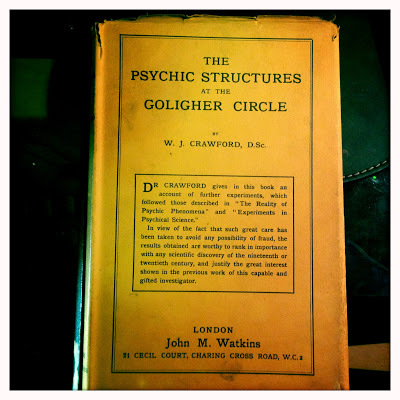 William Jackson Crawford on the Goligher Circle (Review of Crawford’s The Reality of Psychic Phenomena; Hints and Observations for Those Investigating the Phenomena of Spiritualism; Experiments in Psychical Science; The Psychic Structures at the Goligher Circle). JSE, 27, 529-539. Williams, B.J. (2011). Review of Phantasms of the Living (2 vols. 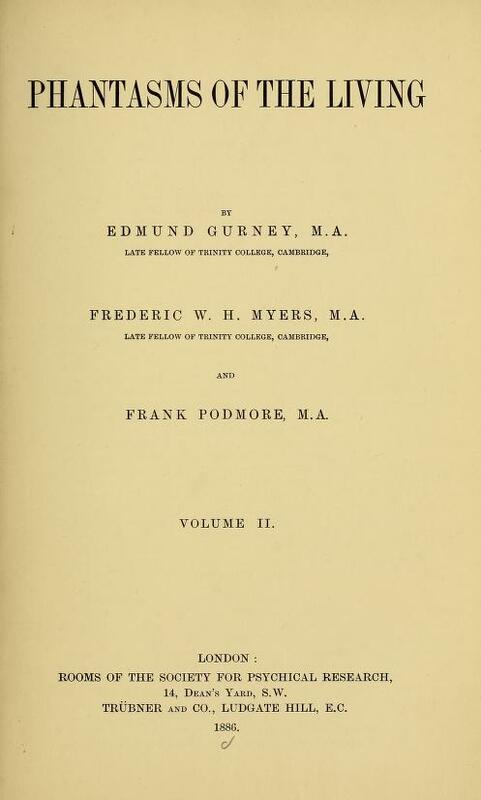 ), by E. Gurney, F.W.H. Myers, and F. Podmore. JSE, 25, 367-384.